On the photos or slides, a “by” indicates one of the photographers or videographers, who have given their permission, with links on our sidebar. Please visit their site to see many more fantastic shots, a “©©” copyright symbol indicates a photo from Creative Commons and ©WikiC is a Creative Commons photo from Wikipedia. 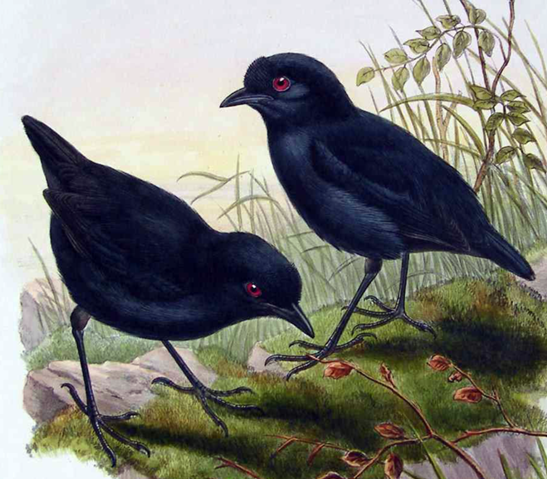 Melampitta is a genus of New Guinean bird containing two enigmatic species. These are birds with black plumage that live in remote rainforests. They are little studied and even their taxonomic relationships with other birds are uncertain.